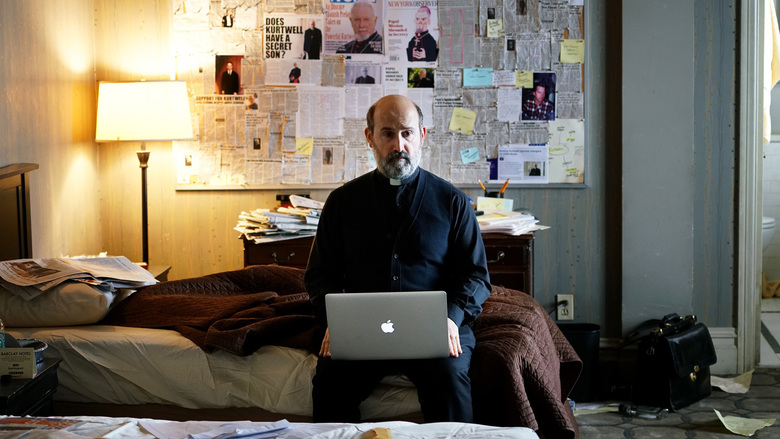 No Blogging for Old Men: The Small Screen: The Young Pope "Episode 9"
You know a show is outstanding when an episode like the penultimate entry of the first season of The Young Pope is considered a "step down" from the previous one. Other shows would kill to make just one installment this good, and it isn't even its best. The episode kicks off with a lengthy and, par for the course for this show, beautifully written conversation/debate between the Pope and Spencer over what their official position on abortion should be. After this scene much of the episode surrounds the circumstances of Gutierrez as he is succumbing to alcoholism and dealing with a mess, both literally and figuratively. We still get plenty of the Pope here, of course, but let me tell you, the Gutierrez stuff is so elegantly handled and interesting, so an entire episode focused solely on him and his plight would have been just fine by me, granted the one subplot in this episode involving Gutierrez that focuses on the bed ridden, morbidly obese woman who owns the hotel he is staying in didn't really do much for me. I get what they are going for thematically, that Gutierrez and her are completely different people yet in a way are similar because both are currently trapped by their circumstances, but this was probably the only thing holding back this episode from matching the greatness of number eight. With only one episode to go, which I will likely be watching tonight, the first season of The Young Pope has been quite an achievement. A great ending would likely cement it as a top ten show of the year entry, which is hard to promise in mid-February but I feel pretty confident with this one.